Remember the TEN SUFI THOUGHTS of Inayat Khan? ♥ On the occasion of her Urs celebration, The Murshida Vera web site has been updated with new material: a growing audio archive of various lectures recorded during her lifetime. The newest category, Masters, Saints and Prophets has recently been posted. ♥ Murshid Saadi, Neil Douglas-Klotz, will appear at Many Rivers Books and Teas in Sebastopol, April 16th at 7:30. Saadi will read short excerpts from his most recent books, tell a Sufi story or two, and answer whatever questions come up about Jesus and Aramaic, the native Middle Eastern tradition, and crazy wisdom in general. Space is limited, suggest arriving early! ♥ ARAMAIC EASTER RETREAT with Murshid Saadi (Neil Douglas-Klotz) in Sonoma County in April -- 4/18-21/19. ♥ The Art of Loving series continues with "Loving Others", April 27th with Kiran and Jeanne of the Bay Dervish Center. As co-author of Physicians of the Heart, Murshid Wali Ali uses its profound teachings as a major part of the Sufi approach to integration of self and realization of the God reality. These teachings are helpful to all and especially to those who desire to be on the path of awakening. All are welcome to this program, which proposes to take participants, over time, through a complete process. Classes will be held twice a month, on the 2nd amd 4th Thursday evenings at 7:30, and will run for about two hours. Those who attend are encouraged to leave a donation, but no one will be turned away for lack of funds. A class for seekers on the Inayati path of Sufism, to be given in Santa Rosa starting Jan 10th. This is an advanced class for murids and ashaqs on the Sufi path. The class will go into the teaching of Hazrat Inayat Khan on such topics as psychology, concentration, spiritual attainment, esotericism, spirit phenomenon and many more. In addition to teachings, the group will do practices to help participants open to a deeper understanding of the teachings and of themselves. This class will meet bi-weekly beginning January 10, 2019 from 5:30-7PM. The class will be taught by Mahdiah Jacobs Kahn who is a Senior teacher and Retreat guide in the Inayati Order. Cost is by donation Admission is by telephone interview with the teacher. Call Mahdiah at (707) 806-2933 or email Mahdiah@comcast.net for further information. East Bay Sufi Camp Sept 27-29 2019! 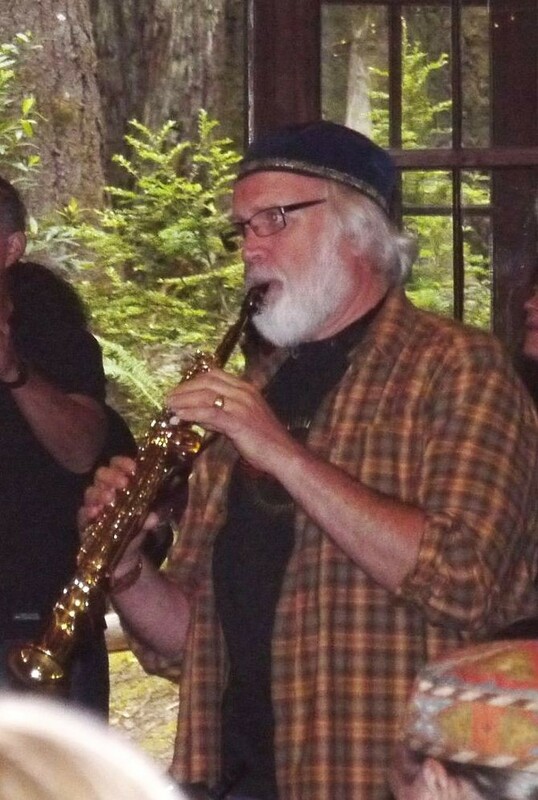 Our 45th Annual Mendocino Sufi Camp July 14–21, 2019. Season of the Rose - Essentials of the Sufi Path in Portland will be June 26th to July 1st. The complete MURSHID SAM ARCHIVES are newly online, at murshidsam.org. So grateful for the astounding amount of loving and devoted work that has gone on so quietly, for all these years -- to make SAM's writings and other content available to all of us. One feels blessed by just visiting the archive! Devotional music of all kinds, everywhere in our area can be found on Bhavani's list Click to subscribe. Sent out with love every week. If it feeds you, please consider clicking the donate link on the list email you will receive. Murshid Samuel Lewis often quoted Sufi Al-Ghazzali, saying "Sufism is based on experience and not on premises." 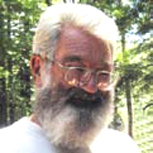 So in our healing circles are experiential, using breath, sound, contemplation and prayer to open and experience hidden treasures such as purification, compassion and healing power which are in our True Nature; and we perform the Absent Healing ritual of Hazrat Inayat Khan to send healing light to others. If you are in serious need of healing yourself it might not be appropriate to participate in our circle until you're improved. Please call or write to the host, to discuss your needs and preferences. If you are absent, with your permission we can add your name to the list and send the Shaffea (healing power) out to you when we meet. ♥ Three (3) East Bay Healing Circles every month. Info on events list. ♥ Sebastopol Healing Circle at Ananda's home, at 7:00 pm the last Tuesday of each month. Please call for address and any questions or requests. Phone 505-470-6977. ♥ Sufi Healing Service & Class in Santa Rosa, third Thursdays of the month at 11am. "There is a great need for healing in the world at this time. We are beset with natural disasters and incredible violence. Please RSVP (space is limited) for address and directions." Phone Mahdiah at (707) 806-2933 or email Mahdiah@comcast.net. Murshid Wali Ali's weekly Thursday Dharma night classes in SF are now available online, with teachings and practices of Murshid SAM's Zen teacher, Sokei-an Sasaki. Recordings available or attend in person. Highly recommended by your webmaster: Illuminating the Shadow, a NEW BOOK by and about Pir Moineddin, leader of SRI for over 3 decades, his amazing, inspiring life story and his teachings. Poet Tamam Kahn's recent book, Fatima's Touch -- bringing forward this important woman, known and loved in the Islamic world -- a Finalist for the National Book Award. To order a copy at a reduced rate, or to read launch notes from the author, please click here. NOW on our site: Area Sufi events in Alameda, Santa Cruz and San Francisco in the top bar menu (or for smaller screens, the ☰ menu symbol). 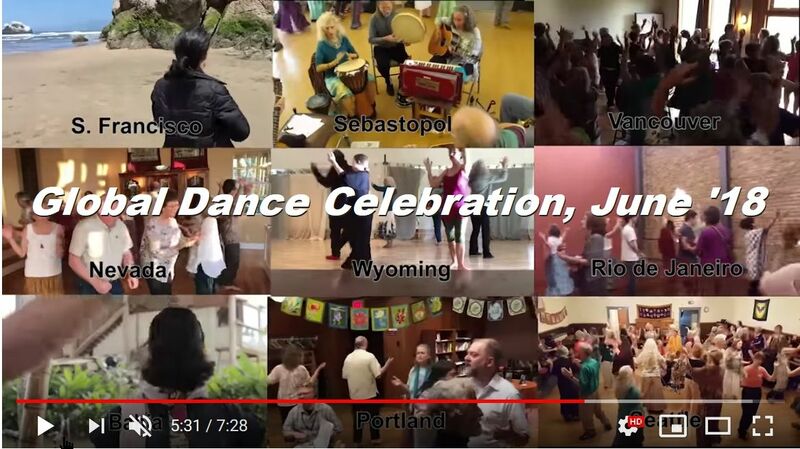 NEW Sacramento Dances of Universal Peace web page. Morning Ragas with Pir Shabda and Tabla player Joss Jaffe. Pot-luck lunch follows. Mevlevi Zikr and Turn class with Peter and Jami 4th Tuesday of each month. 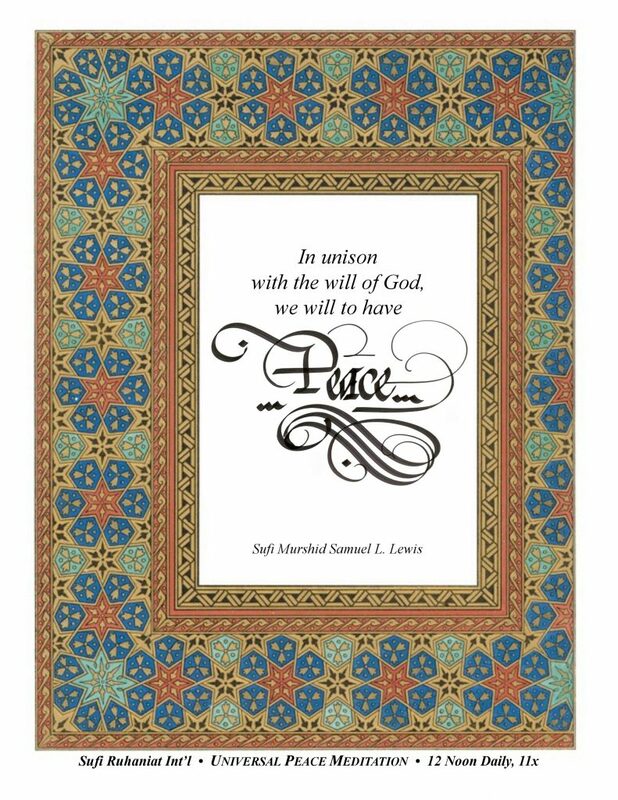 As co-author of Physicians of the Heart, Murshid Wali Ali uses its profound and accessible teachings as a major part of the Sufi approach to integration of self and realization of the God reality. These teachings are helpful to all and especially to those who desire to be on the path of awakening. All are welcome to this program, which proposes to take participants, over time, through a complete process. Those who attend are encouraged to leave a donation, but no one will be turned away for lack of funds. 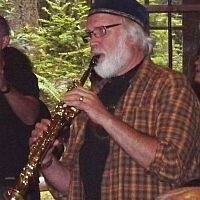 Meets 2nd & 4th Sundays at 11:00, with Tui Wilschinsky and friends. View flyer here. All are welcome. Zikr with Halim and Vakila. An evening of deep and ecstatic Sufi zikr with Halim Friedman and Vakila ter Veld. Please join us for this special evening! SUFI ZIKR CIRCLE -- click for flyer & schedule. Sacred chant with movements in the Sufi tradition and Dances of Universal Peace with Pir Shabda Kahn and friends at this elegant and convenient location. (Dates for 2019: 1/17, 2/07, 3/21, 4/18, 5/09, 6/06, 7/25, 8/15, 9/26, 10/17, 11/07, 12/12). Suggested Donation $10. View directions here and a campus map. To receive reminders, join the SufiPaths email list -- or Bhavani's list -- or both! For more information call Bhavani 707-829-3209. Azima Lila Forest wrtes, Dear dreaming friends: I will be starting another Zoom dream group in May. This time, i'm setting the day and time, one that will hopefully work for people on both coasts of the US and also New Zealand and Australia. The dates for the next series are May 11, 18, 25, and June 1. Limited to 12 dreamers, so if you're interested, please register soon. You can do so by sending $60 via PayPal to azima@zianet.com. If you can't use PayPal, you can send me a check, but i must receive it before the end of March, as I'm house-sitting and will be somewhere else after March. As a group, all together, we practice zikr (with the repetition of “La illa ha Ill allahu”) in melodic and chant form with some simple movement. It’s a love song focused in the heart, with the meaning that “Nothing exists, only God”. The approximately 45-minute ceremony is accompanied by live music. With Halim Friedman and Vakila ter Veld, both recognized as teachers in the Sufi lineage of Hazrat Inayat Khan and Murshid Samuel L. Lewis. They bring a relaxed, friendly and deep atmosphere to their approach and lead this particular spiritual practice twice monthly in the San Francisco Bay Area. "The Dances are a joyous way of touching the spiritual essence in ourselves and others." Led by Rev. SierraLynne White & friends. We meet every second Saturday to eat, dance and pray together at the Mt. Diablo Unitarian Universalist Church, 55 Eckley Lane, Walnut Creek (Directions here) POTLUCK: 6:30 potluck in Bortin Hall (delicious mostly vegetarian or vegan food from our delightful dancers!) and DANCING from 7:30-9:30 in the Sanctuary. 410 Precita Avenue in SF, from 11-1pm. Your contribution completes your side of the Spiritual Reciprocity Energy Circuit. Giving back for what you receive maintains and increases your capacity to receive. Please remember to keep social conversation to a minimum before the Zikr begins. Also a reminder not to park in Monnet's driveway, since those spaces re for the folks who live in the house. Looking forward to having you join us in this Caravan of Awakening Hearts. If you have questions, or want more info, please contact me. Healing Ritual, 3rd Wednesday, 2 PM, at Fadhilla Bradley’s home. 33 Linda Avenue Apt. #2108, Oakland CA. Please call to confirm. For more events in the coming months see the extended calendar .